A modern house is incomplete without a number of things and one of these is really attractive furniture. Each room of the house must contain furniture that is both appropriate and attractive. It’s pretty obvious but a kitchen should have, tables and chairs, while a living room should contain sofas, a coffee table and perhaps a nest of tables as well as single soft seating. A living room is the most important part of any home. 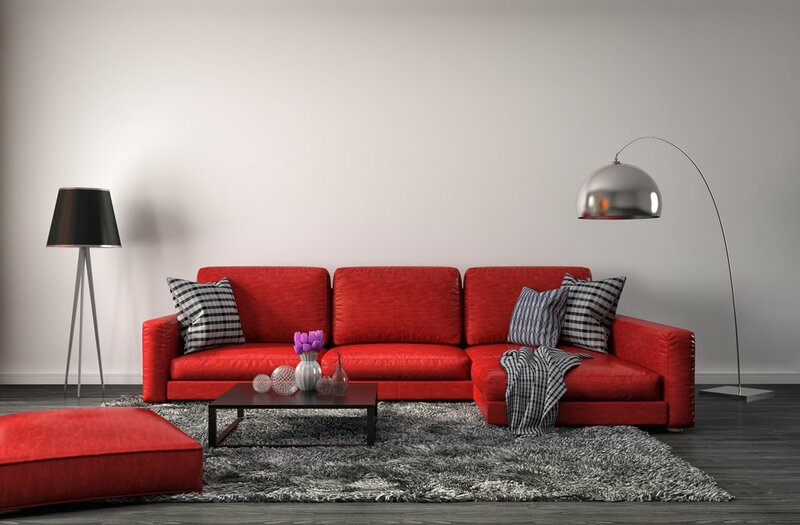 If you like modern furniture, then choosing living room furniture in red, could be a good idea. The key thing when choosing such a statement color is to ensure that, while it is eye-catching and an obvious focal point, it doesn’t overwhelm the room. You want a statement, not a shout. Red is one of those colors which imparts a very definite statement to a room. The danger is that it can say at least two things. The style statement you want is of course: modernity, perhaps even that you are avant garde and daring. The danger is that you project an image of tackiness and lack of taste. Living room furniture in red, needs to be chosen so that the red selected imparts warmth, remember that red, in interior decorating terms is not one single color, it's a range of colors. Choose carefully, with regard to the light levels and type of lighting you have or plan to have in the room. You've also got to be very careful of the type of fabric you choose for soft furnishing. Don't get carried away with tone of red you've found, remember that the furniture is furniture, not an art piece: it has to be used. Is the material hard wearing? Is it stain resistant? Is it made of fire retardant material? When selecting soft furnishing it's essential to talk to a salesperson, either online or face to face. If possible it's also a good idea to get a flash of the material, to take home and examine under the lighting in your room. Any reputable supplier should be happy to supply you with a sample.